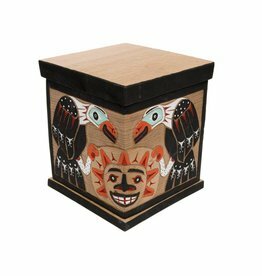 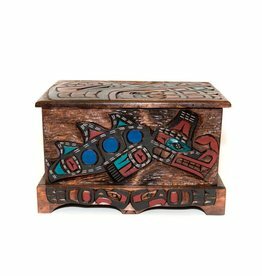 These boxes and chests are based on the traditional Northwest Coast Bentboxes. 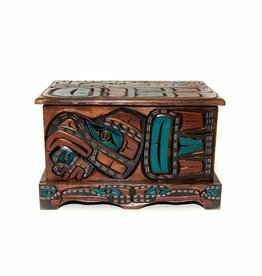 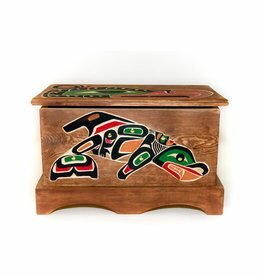 Hummingbird Chest Carved and Painted Box by Adrian Wilson (Homalco). 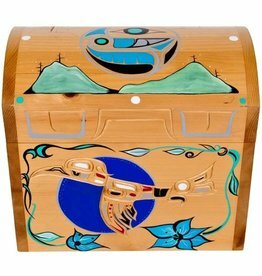 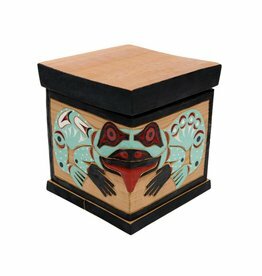 Large painted box by Mike Forbes (Haida). 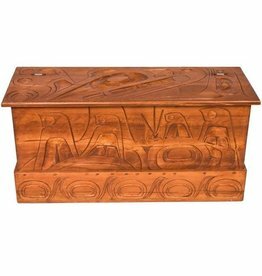 10" by 9" Eagle / Frog Steam Bent Box by William Good (Nanaimo/Coast Salish). 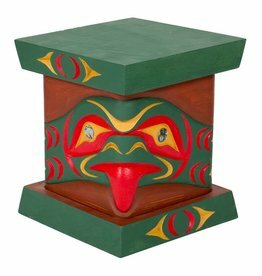 12" by 10" Raven and Sun / Frog Bent Box by William Good (Nanaimo). 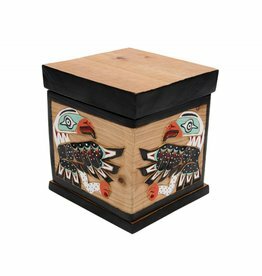 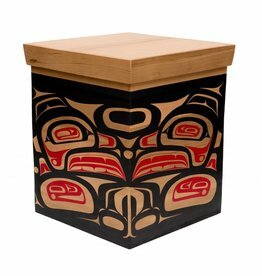 Killer Whale Eagle Box by Gyauustees.